People think plagiarism in Islam does not even exist because there are no copyrights in Islam. Of course there are no copyrights in Qurán and hadith as we don’t own Islamic texts (verses, ahadith, quotes of the Sahabas and so on) but you know why WE don’t own them? It’s because Some One Else does! Allah owns His verses – Allah owns us all! Whatever we possess belongs to Allah – NOT the people! And Allah has given us the CHOICE of giving away what belongs to us! No one else can claim each other’s possession as everything of one is sacred upon the other. So in this world, what you write and sketch, belongs to you. Just like what you wear belongs to you. What you eat belongs to you. What you earn belongs to you. UNLESS you choose to give it away within your free will – for the sake of Allah who gave you all of those above. When one gives away with his/her own will, it’s called charity. When one gives away with his/her own will and puts a price on it, it’s called trade. When his/her will is not involved and the other person takes it regardless, it’s called stealing! Or plagiarism in other words – As simple as that! Someone who’s been a direct victim to mass plagiarism after several episodes of the above illustration going viral (for all the wrong reasons), this topic hits close to home. 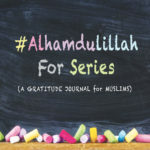 We’ve had our other artworks shared around without credit a gazillion times as well – most of the times people even change the graphics of #AlhamdulillahForSeries and put their own logo on it, but we simply ignore it. Sometimes people even sell our gratitude journals forward without permission or simply distribute it without us knowing, and we ignore that too! BUT when the content is misused in a way that Islam gets the bad name, well that’s unbearable for us and this is what prompted us to write this piece! 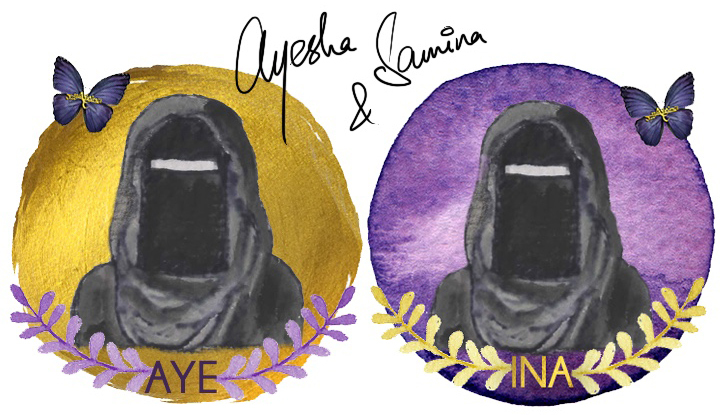 First our niqab illustration from the article was simply shared, then the link was removed, then the logo was removed, then other names started appearing on the image – taking credit for the artwork, then it started being misused which was followed up by unnecessary arguments and negativity around Islam – and something that was meant to cross the bridges, just burnt it all down! THIS prompted us to write why there is NO place for plagiarism in Islam. Something that was meant to be an experience of niqabis by niqabis turned into a hate speech full of negative vibes when men starting posting it as a form of blatant instruction (men who clearly have no experience of wearing a niqab). And of course that happens when people leave out all the context that the actual person used it for. When original artist’s work is used for misrepresentation of the original artist’s intent, it sabotages intellectual diversity. Just imagine how impure our religion would have been if people attributed ahadith to themselves or anyone undeserving of attribution. Citations and references are the web that held together the science of hadith all those years. It helped us receive pure knowledge that we have today. Without it, our deen would have been just like all other religions. Mixed with falsehood. 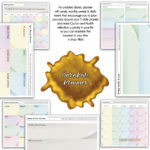 Mixed with people’s interpretations and quotes. Mixed with misuse of words, translations and contexts. References is where the beauty of Islam lies – the authenticity and purity in its text because no one claimed each other’s words or actions. Meaning no one copied without giving the due credit! And if someone did, the whole chain of hadith went weak! Scholars studied 1000s and 1000s of lives by traveling 1000s and 1000s of miles JUST to bring the authentic ahadith to us! Ahadith with the strongest chains. When the hadith is not branded Sahih, we doubt its credibility. Because someone in that chain was not trust-able enough – either in terms of memory or honesty. If you want to do real research in any field, you have to follow the links and people behind those links. By not linking the words we appropriate back to the source, we erase their context and thus destroy a lot of valuable information that is required to build trust. “This is one of this is one of the reasons why the Islamic science of hadîth narration – isnâd (attribution) – was developed. Indeed, Islamic civilization was the very first in the world to develop and codify rigorous science for citing one’s sources. In the classical discourse of this science what is now called plagiarism was known as tadlîs (deceptive attribution)…This is where a narrator deliberately leaves out a source to make his chain of transmission look stronger than it actually is. It often entailed the narrator taking credit for hearing a hadîth from a prestigious source he did not actually hear the hadîth from. He would do this by omitting a less prestigious intermediate narrator and failing to credit that intermediate narrator as his direct source. When you steal an artist’s work (whether his/her writing or art etc.) and pass it on as your own while convincing yourself of earning sadaqah jaariyah or halaal earning, you deceive yourself before you deceive others. Stolen property is not accepted as charity. It may become sadaqah jaariyah for the original owner, but for the thief, it’s simply an illusion. All of the above doesn’t mean we can’t share anything. The problem is dishonesty – not simply sharing. Share all you want as long as you give the due credit to the original owner so the true meaning and experience remains. Dishonesty is misattribution to oneself of the work of others – which is also known as plagiarism. It is by law – a crime. Even when it comes to hadith and Qur’anic verses, we are supposed to give the reference. We’re supposed to share the original source because all rights belong to Allah and His messenger (saws). If we share a hadith without telling people that it’s by Muhammad (saws), some people may think it’s our quote. Such deception may not only cause us harm but others as well. We all need a convenient shortcut to quickly determine what to believe and what not to — and one such shortcut is to find where a certain bit of information comes from, and judge its credibility based on what we may know of its source. When an author etc. fails to cite his/her sources, he/she degrades our ability to judge the information we’re getting. We may not believe it or trust it if we’re uncertain of the source it’s coming from. “I think it’s time to address a growing problem in the Muslim creative community…. As a professional designer and member of @creativemuslimwomen I’d like to discuss an issue, that I’ve been a victim of, and that sadly I see occurring more and more. You see as an artist, designer or creative in general, you spend hours up on hours refining your skills, brainstorming ideas, overcoming hurdles, revising, testing, questioning, resolving, just to create that one thing you feel compelled to make. Often with the result of going back and having to do it all over again to get it just how you envisioned. So when someone else comes along and takes what you’ve created so they can use it for their own purpose or profit, it’s like a stab to the heart…. By all means be INSPIRED by what others do or by what you find on the internet, but use that inspiration to CREATE YOUR OWN piece of work…. Alhamdulillah that Islam has retained rights of each and every one. Which is why, everyone’s blood, wealth and property is sacred on another. Ever wondered why an honor is a trust as well? It’s not even something tangible yet sacred! Because their whole credibility and reputation depends on it. Once it is found that a writer/blogger/artist has plagiarized, then every word they have written or each piece of art they will produce in the future will become a suspect. There will be no credibility in anything they present in their views, actions and thoughts. Such harm is not only to the plagiarizer but sometimes also the plagiarized – when people aren’t sure of the original owner of the work, both parties may become a suspect of plagiarism. In other words, it is not only a self-inflicted wound but it may bruise others as well – which may make it hard for people to believe whatever they produce when the authenticity is gone. And anything that involves dishonesty and plagiarism may not have the barakah in it and without barakah, all the efforts may render fruitless. Plagiarism has so many forms. As students of Islamic Online University ourselves, we know how we are instructed on the matters of plagiarism before each assignment and test. And if we are caught cheating, our whole degree could be at stake. The marks we get from cheating are not our own and the job we get from those marks is certainly not what we deserve. The dishonest money that you earn from that job will eventually fall into the Haraam category (before you are fired from the company for not having the skill set acquired from knowledge earned through hard-work). If you’re helping someone to earn dishonest marks instead of teaching them to work hard, you’re not really doing any “good” for your neighbor. So preventing someone from wrong is how you actually help them! NOT by assisting them so they can live their lies in blindness! Many people take images and articles from around the internet and post them as their own – sometimes not to earn, but simply to gain popularity on social media etc. It’s ok to repost, share and send it forward as long as it’s through proper means. Not through misattribution or a deliberate lie. I understand that people need to be cautious about what they post on the internet, most definitely. But you also have a responsibility to not steal other people’s property. And yes, it’s theft. You wouldn’t go to someone’s house and steal his bike just because he left it outside in plain sight. You’d still be considered a thief. So yeah, just because someone posts something on social media, “in plain sight” – that doesn’t give you the right to screenshot it or copy it and use it for your own purposes. -But YOU put it on the internet, so it’s fair game for me to use it. -At the end of the day, nothing belongs to us, and everything belongs to Allah! -But I’m using it for a good reason. -Oh, you just want me to mention you so that you can get more followers! When we’re trying to do something for the sake of Allah, we should do it properly, not through the theft and re-purposing of another person’s work. I can tell you that it feels like a punch to the gut when someone takes your work and uses it without so much as mentioning your name. Plagiarism cuts me like a knife. When someone uses the words from my book or my social media pages, then makes minor edits to pass it off as his/her own work…a part of my desire to share shrivels up and retreats to a corner of my heart. It hurts because these words aren’t just “words” – they are my love story. They’re remnants of my marriage. They’re the bricks that I’ve used to rebuild my broken heart. They’re me. It’s like someone is taking a piece of my heart right out of my body and displaying it as though it belongs to her. Please, please don’t do this. It’s so hurtful to me. I know I can’t control what happens on the internet, but integrity will always be an important trait of a believer. That’s in your hands. SubhanAllah I remember when the niqab picture was circulating and how much people used it to incite fitna against sisters who didn’t wear niqab when that was NEVER your intention subhanAllah. It made me so sad. I’ve never experienced plagiarism but I assume I’d address it head on as I can’t abide by things like that. I remember the whole niqab picture issue too. Such a shame it happened and an even bigger shame that people did not realise how wrong it was and were rude back to you. In sha Allah they read this detailed post and understand what they did was wrong. Absolutely agree with this article. I first came across the word Plagiarism in my uni days. To put it plain and simple plagiarism is stealing ! This post has very deep thoughs and it should be read by everyone. Plagiarism is definitely not something an individual should opt for. At university, we always used to have plagiarism checks when submitting projects. I didn’t even realise that the niqab photo was yours because it had gone so much around social media without attribution. So disappointing, Allaah Al Musta’an. 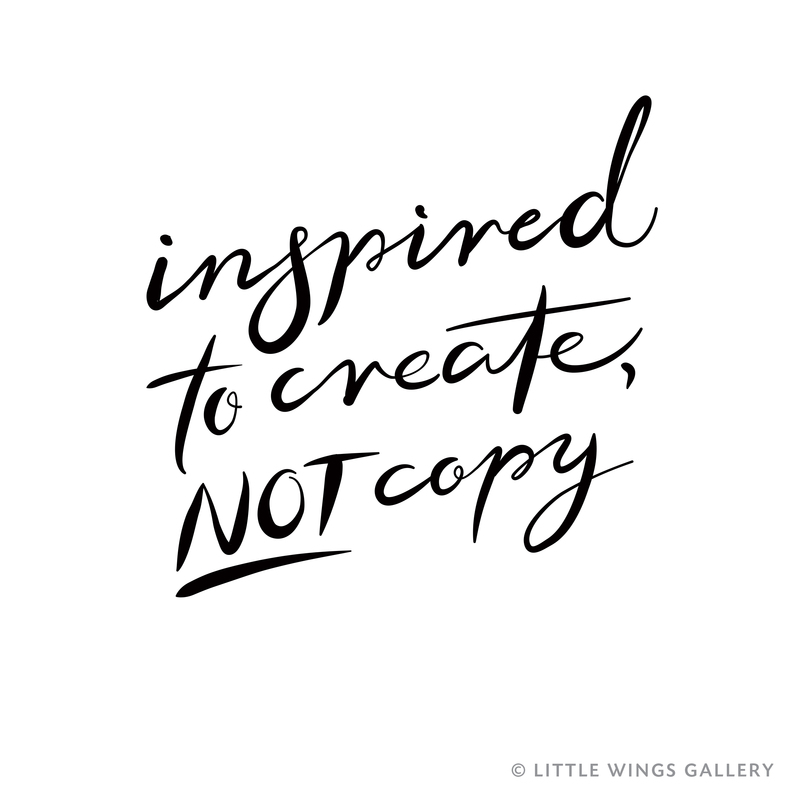 Honestly, as a small-scale creative, plagiarism really burns me up on the inside because it is so disrespectful — it’s disrespectful to me and all the energy I invest in creating things with my own resources. Barak Allaah feekum for sharing ayat, ahadeeth and quotes from the scholars of the Salaf and those who follow them (i.e. Ibn Mubarak and Ibn Baz respectively) about amanah, honour, and rights, the intellectual property kind or otherwise. I love how you’ve addressed the issue of plagiarism in-depth from an Islamic perspective. Hopefully, now plagiarizers will understand there are NO excuses. I found that whole niqaab issue SO frustrating subhanAllah! I can’t believe how widespread it was and how badly it was misconstrued! This was a MUCH needed piece. I found this issue really important and I think you have handled it very elegantly. I do love all the information in the post. I love the part about dishonesty. Islam is a religion of peace and love and has no place for dishonesty. It’s really sad that this happened to you both but well done on keeping your cool. May Allah SWT bless you with more success and forgive us all for our wrong doings. We are all sinners but we should all try and become a better version of ourselves. 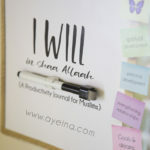 The one thing I love about your blog is that you relate current issues within the community to Islam and that’s beautiful! May Allah SWT reward you for righteousness. Subhanallah!! this article was mind blowing. At first, I was thinking about modern day plagiarism. But now everything makes sense. This is not an average topic and you discussed and organized it perfectly and proficiently with Islamic etiquette. Great job sis. I hope people benefit from this article.